We respect your privacy and take this issue seriously. Information you provide to us is treated in high regard and as confidential. We do not make the names and addresses of our clients or suppliers available to other organisations. We will track where users are going on our website so we can continue to improve the site. When we do this, information is compiled as group data so no personal information is gained about an individual user. 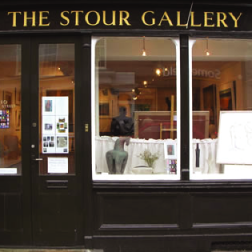 The Stour Gallery is committed to respecting the privacy of individuals using this website. Any personal information collected from this website will be used in accordance with the Data Protection Act 1998. We have taken appropriate measures to keep users' personal information secure. Any disclosures of information will be made only with your permission. We may use your name and e-mail address to contact you with information about future offers and promotions.